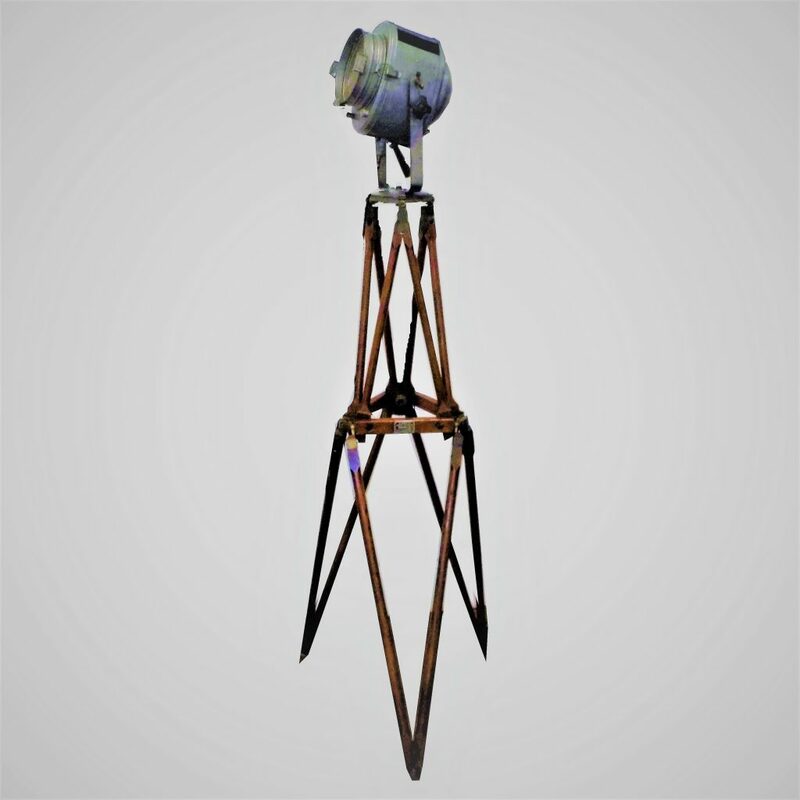 A stunning Cremer Theatre Floor Lamp made on Paris circa 1950. 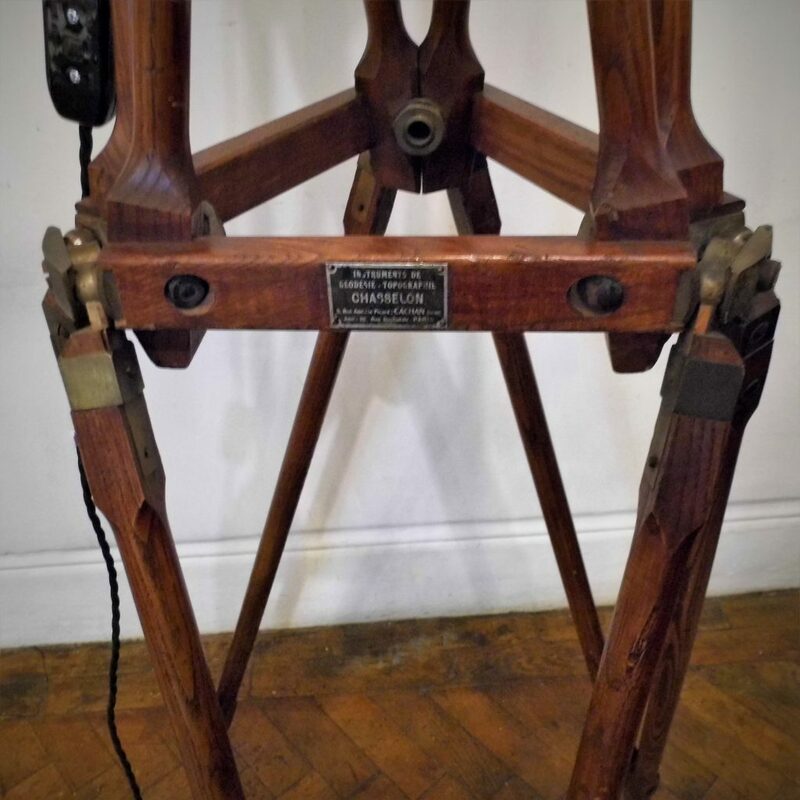 This Cremer lamp has been mounted on an wonderful and rare oak and brass folding surveyors bearing the metal makers label “Instruments De Geodesie Topographie Chasselon Paris “ and is of similar vintage to the lamp. The Cremer lamp features a fresnel lens disperser giving it a softer light ideal for reading under. It adjusts for angle using a wooden handle and bears it’s original silver grey paint work. 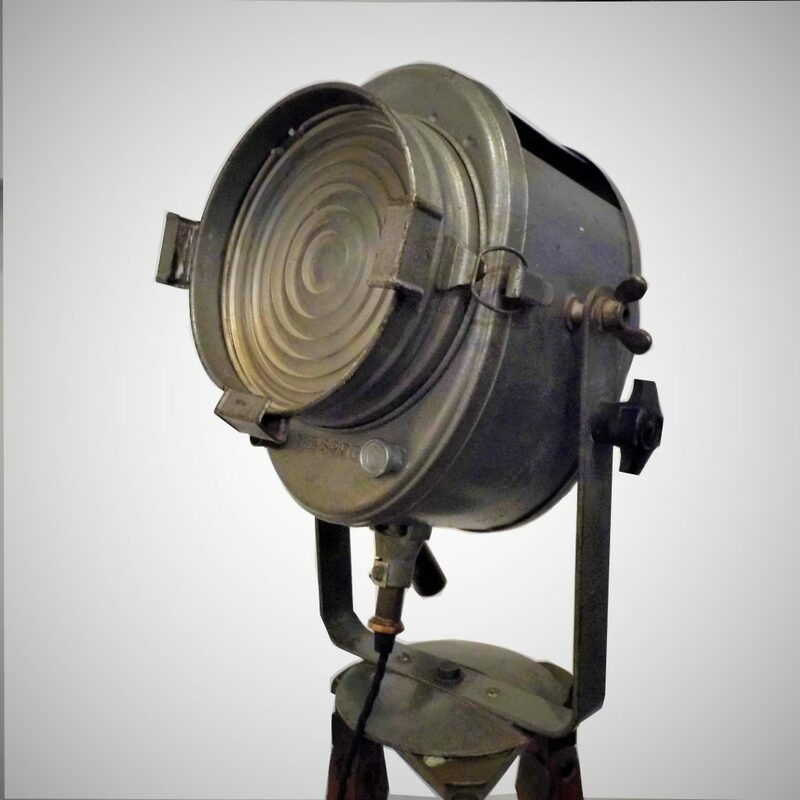 Both stand and light are in good vintage condition with wear and tear associated with age and use. The light has been rewired with 3 core earthed braided black cable and switch. The overall height of this lamp is approximately 180cm.